I’ve always been what you’d call a “condiment connoisseur.” If I can put it on something, I’ll do it. Mustard, ketchup, chimichurri. You name it, I eat it! My favorite condiment though, by a landslide, is undoubtedly mayonnaise. It’s creamy and rich and it’s versatility always surprises me. I mean, people make cakes using mayo! What else can you put on a burger that would be make a delicious baked good? Anyways, there is a problem with the mayonnaise that is available at the store. Even after scouring the shelves at Whole Foods, all I could ever find was mayonnaise made with damaged, inflammatory-inducing oils. If you’re wondering what oils I am talking about, please check out this post I made a couple months ago. Now that Keto and Paleo are becoming more popular, there have been some healthier options popping up. However, regular consumption can get kind of expensive. My Real mayonnaise is so simple and easy to make, you can do it all by yourself. Do yourself a favor and make my mayonnaise instead. It tastes just as good (if not better), is more affordable, and it’s so much better for you! For a sweeter tasting mayonnaise, you could use macadamia nut oil. I personally like to use avocado oil as it is pretty much flavorless and has a high tolerance to heat. MCT oil would be another great choice, especially if you’re following a ketogenic diet. I don’t recommend using olive oil at all. The taste is very strong and bitter. I couldn’t even eat it when I tried using it. I made a video for this recipe as well, just so you can see how easy it truly is! 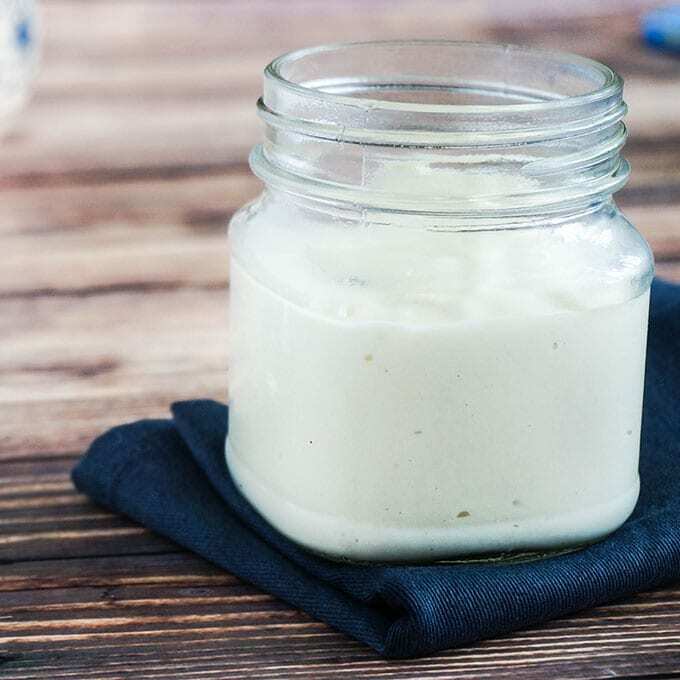 You can make your own, delicious mayo in less than 5 minutes! In my ketogenic diet days, I started eating this by the spoonful for an instant source of high-quality fat. Even now, I still find myself eating it by the spoonful! It’s that good! I use this as a base for some of my favorite recipes that include: smoky chipotle aioli, homemade ranch dressing, and herbed chicken. How do I make these recipes? Keep a look out, I’ll be posting them on the blog soon! Combine all ingredients in a bowl and mix with immersion blender until creamy. Store in refrigerator for about a week. See video below for more detailed instructions. What’s your favorite recipe that uses mayo? Comment below! I found a great mayo at Safeway stores in California. Check out Primal Kitchen avocado oil mayo. https://www.primalkitchen.com/products/avocado-oil-mayo It’s the only may I could find that wasn’t bad. I like the Chosen Foods brand, personally. I’ll have to give the Primal Kitchen version a go sometime!